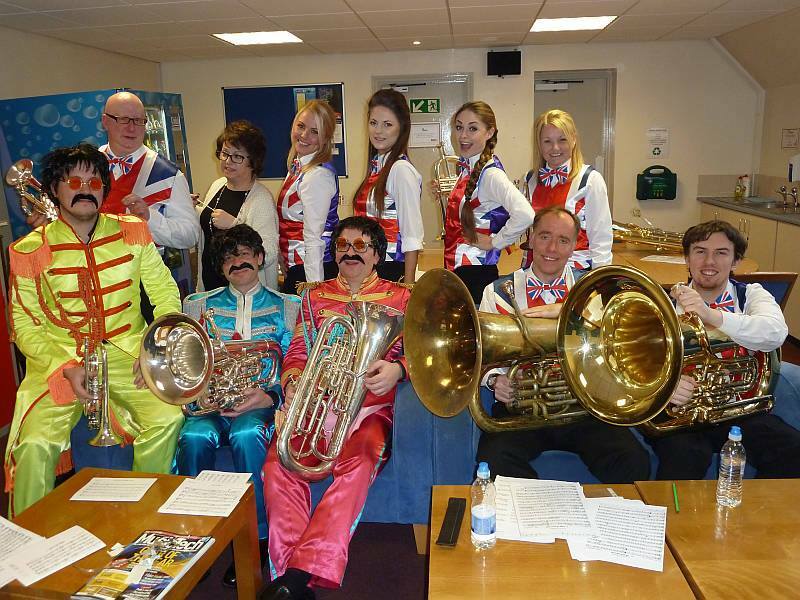 The band was honoured to be hired by ITV’s – Britain’s Got Talent team last week, to help with their launch of a new series. 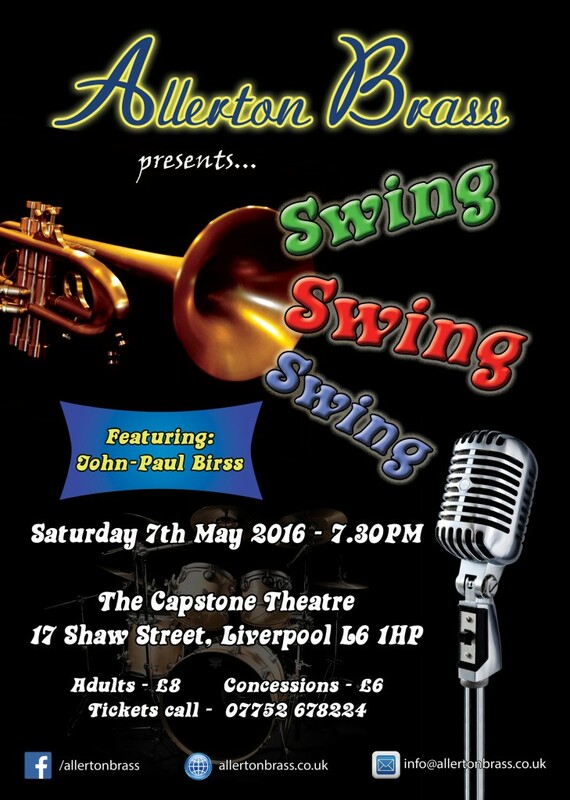 The auditions for the show premiered in Liverpool’s Empire theatre on Friday 15th January. 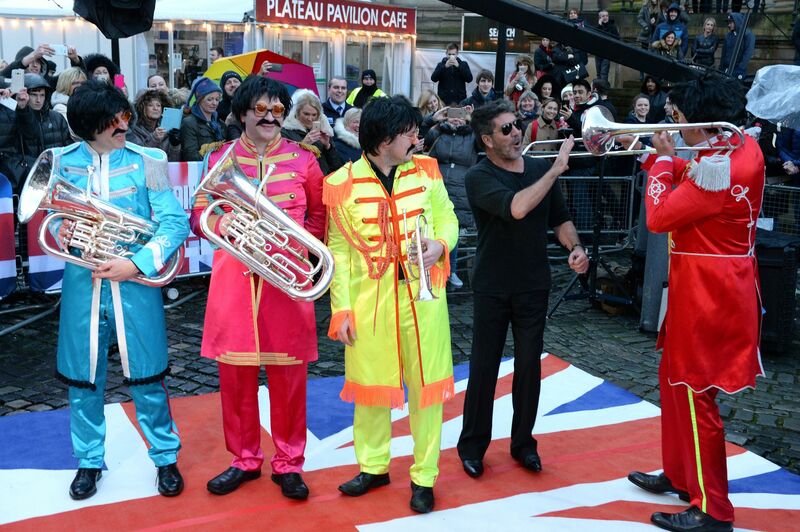 Allerton Brass was there with our guest trombonist David Walliams, to greet Simon Cowell arriving on the red carpet! Dressed in Sgt. Pepper outfits and Union Jack waistcoats, we played some old Beatles numbers to the big stars and the crowds. The televised launch of the show is not due out for a few months; we’ll keep you posted so you don’t miss our appearance on the show.